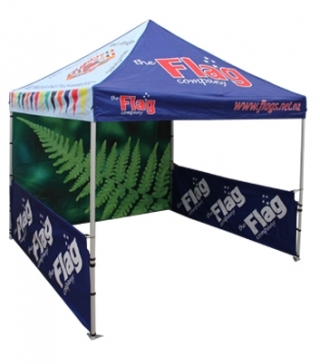 Fully custom printed canopy with optional full or half walls. Many velcro options to change your signage available. Prices start from $900. Call in for a quote for additional options.